Make matching envelopes for hand made greeting cards, or wrap a gift of money individually or match the envelope with the wrapping of the gift – all that you can do when you make your own envelopes out of paper, fold them and glue them together. 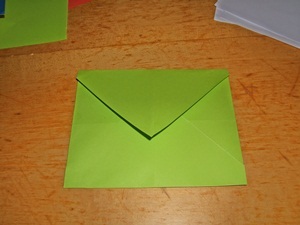 In this step by step instruction you can see how to do i and start to fold your envelope right away. A quick craft idea to make individual envelopes. 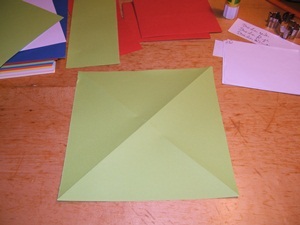 This crafting idea can be made with kindergarten kids to have them fold. Envelopes which are a little asymmetrical bear their charm. When crafting with kids we long for results and fun, but not for perfection. Step 1: To fold the envelope we need a square. We took a normal green sheet for printing (in this case DIN A4). 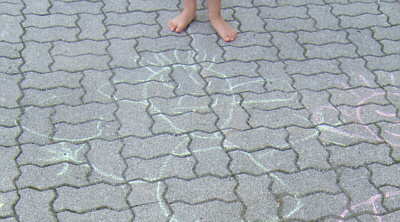 In step one you make a square out of rectangular. 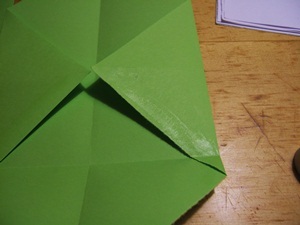 Take one of the corners to the opposite side and fold the first diagonal. Cut of the overlapping edge or make a fold and tear apart. 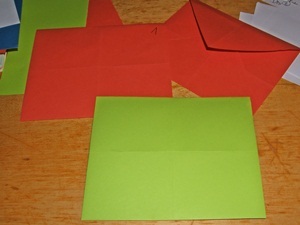 Step 2: Fold the second diagonal by brining the opposite corners together. Step 3:Turn your square – one corner pointing downwards. Now pull the right and then the left corner right to the middle and make a fold. Step 4: Fold the lower corner upwards point over the middle (about an inch, or 1-2 cm). 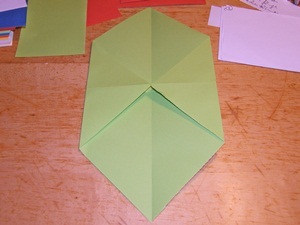 If you make this fold you fold a bit of the sides as well. It already looks like an envelope. Step 5: we want to keep sure that the envelopes carries its precious content. Add some glues to the sides and fold. Make sure that you don't use too much glue, so that you can still fill the envelope. 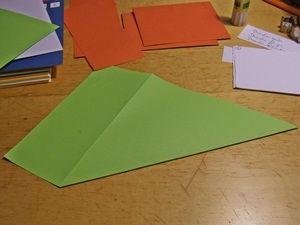 Step 6: fold the flap - finished self made envelope! 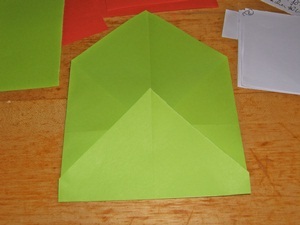 Step 6: fold the upper corner down and you will get the flap. You can close your envelope with masking tape. If you use DIN A4 paper the envelope has a size of 147 x 115 mm and the envelope is a little smaller than the standard format (162 x 114mm). We used the colourful envelopes for a scavenger hunt or treasure hunts – in the colourful envelopes we did put the difficult riddles and hints to find the next station for the dragon riders and dragon tamers. You can of course use the envelopes for home made greeting cards, like the Easter greeting cards. Or gift vouchers and coupons like the printables we made for mother's day: gift vouchers. If you want to have smaller envelopes use smaller squares.